A Member Points raffle. 75 points to enter. Member Points automatically earned on the site for your participation in topics and other actions. Each member may purchase one ticket to enter the drawing for this exact card! Quinton Flowers 2018 Leaf Metal Draft On Card Auto Rookie Card Signed with a thick marker by the USF G.O.A.T. Will be mailed in a protective sleeve to winner! For shipping, please be sure your full name and email address is in our profile. This is a raffle utilizing Member Points (points earned by being a participant on the board) - Open to all to enter! This raffle is for two tickets to the Bulls game Wednesday vs. Bethune-Cookman. Bulls vs. Bethune-Cookman Wednesday, April 10 6:30 p.m. USF Baseball Stadium Important: Tickets will be delivered electronically, you must have an email address in your profile to receive. Please update now! Tampa Bay’s Home for Hoops! Bulls final home game. This is a raffle (you must purchase at least one ticket to be eligible to win, $5 per raffle ticket) for two premium seats and buffet for the USF Men's Basketball game vs. UCF on February 27, 7:00 p.m. 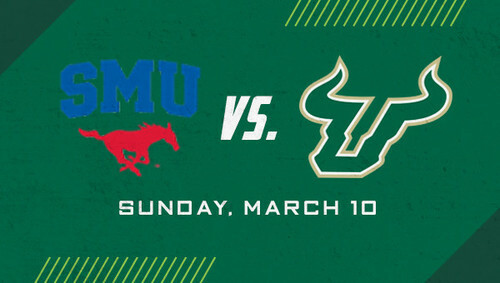 Section 102 Row A seats 21 and 22 (mid-court aisle) Bulls vs. SMU Sunday, March 10, 4:00 p.m. Yuengling Center Face value of each ticket is $32.56 Includes buffet. Please be sure you have the correct email address in your profile. These tickets will be transferred via email. Tampa Bay’s Home for Hoops! This is a raffle (you must purchase at least one ticket to be eligible to win) for two premium seats and buffet for the USF Men's Basketball game vs. UCF on February 27, 7:00 p.m. Section 102 Row A seats 21 and 22 (mid-court aisle) Bulls vs. UCF Feb 27, 7:00 p.m. Yuengling Center Face value of each ticket is $32.56 Includes buffet. Please be sure you have the correct email address in your profile. These tickets will be transferred via email. Tampa Bay’s Home for Hoops! This is a raffle (you must purchase at least one ticket to be eligible to win) for two premium seats and buffet for the USF Men's Basketball game vs. ECU on February 10, 5:30 p.m. 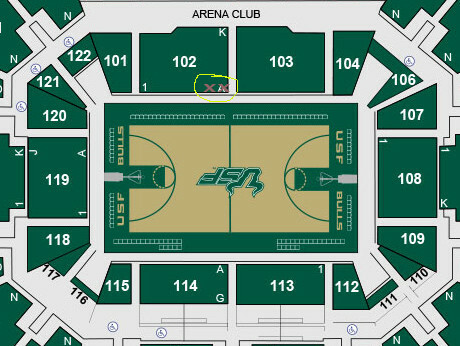 Section 102 Row A seats 21 and 22 (mid-court aisle) Bulls vs. ECU Feb 10, 5:30 p.m. Yuengling Center Face value of each ticket is $32.56 Includes buffet. Please be sure you have the correct email address in your profile. These tickets will be transferred via email. This is a raffle (you must purchase at least one ticket to be eligible to win) for two premium seats and buffet for the USF Men's Basketball game vs. Tulane on January 9, 7:00 p.m. Section 102 Row A seats 21 and 22 (mid-court aisle) Bulls vs. Tulane January 9, 7:00 p.m. Yuengling Center Face value of each ticket is $32.56 Please be sure you have the correct email address in your profile. These tickets will be transferred via email.